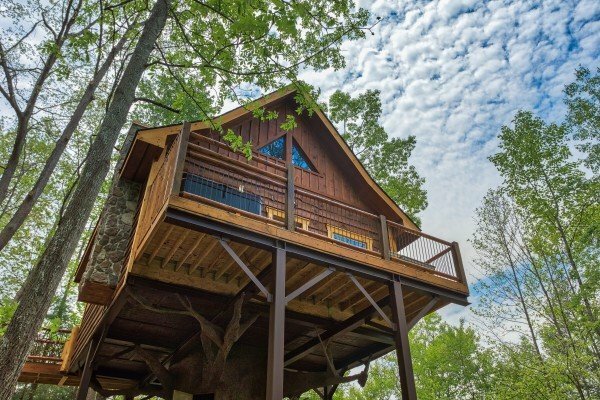 Take your vacation to new heights! 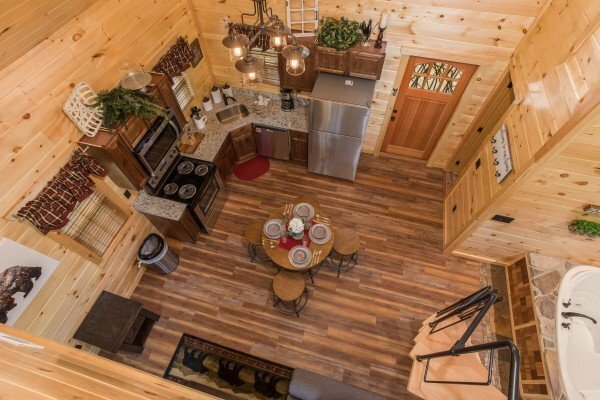 Plan your Smoky Mountain getaway in the original GATLINBURG TREEHOUSE! 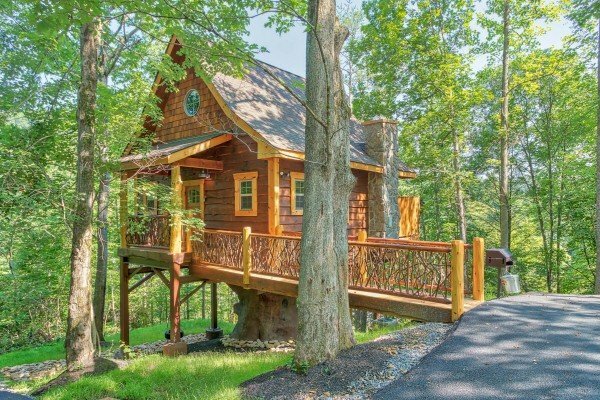 This incredible custom cabin will make your vacation soar. 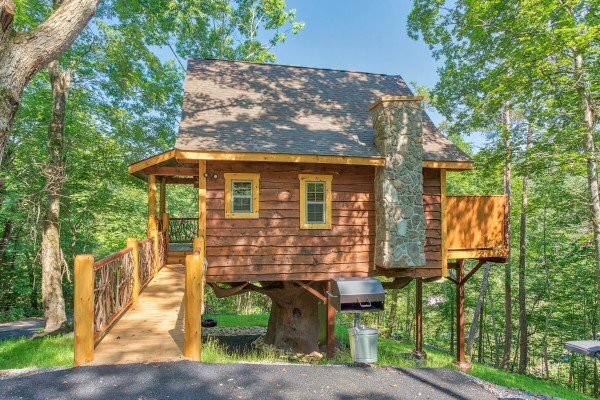 Enter from level parking across the custom twig railed bridge and into this open concept luxury treehouse. 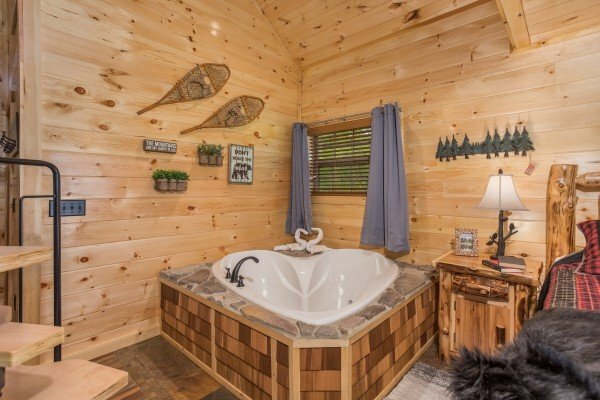 A huge heart shaped Jacuzzi tub for two is perfect for relaxing, and a comfortable KING log bed is just a few steps away for a luxurious night's sleep. 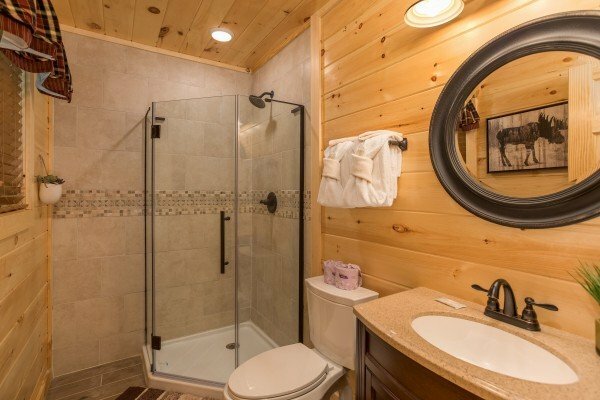 Kick back and enjoy the stone/gas fireplace and LED TV right from the tub, or the bed! 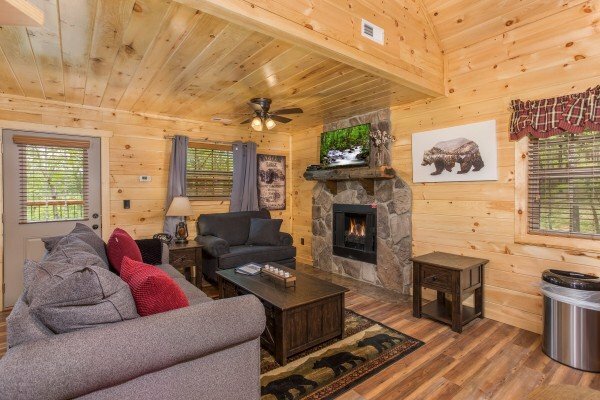 A large living area with Queen sleeper sofa and comfy chair is open to a full kitchen with stainless appliances, granite countertops, and a pub style dining table for 4. 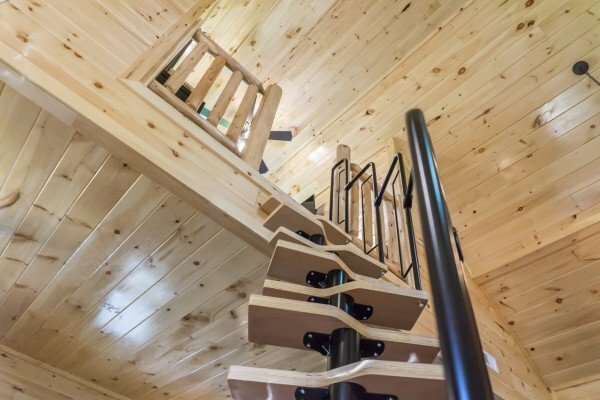 A spiral ladder accesses an overlook loft with log railing & additional queen size bed. 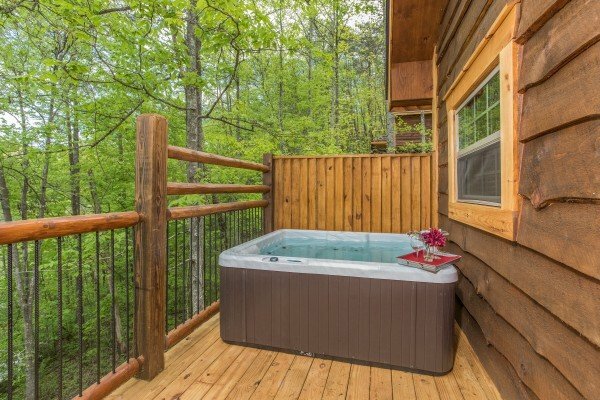 Outside- be sure to take your perch in the bubbling hot tub for 5. 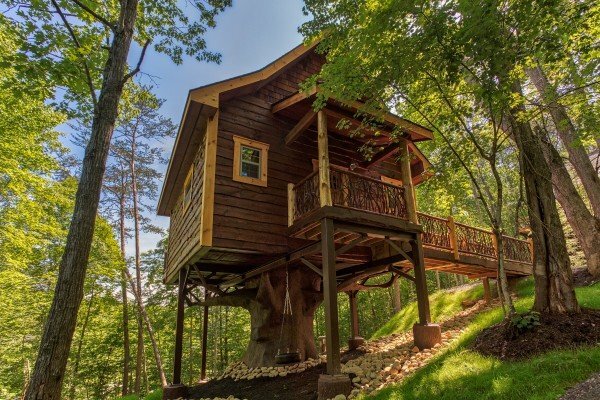 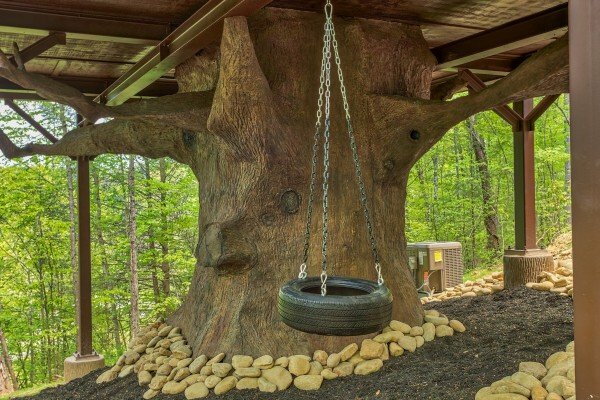 This is no ordinary treehouse! 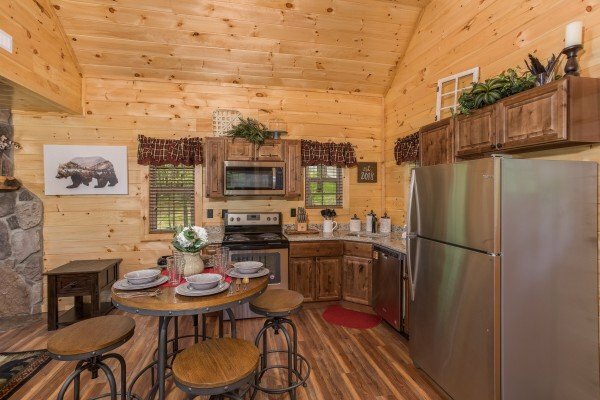 Plan a trip you'll never forget! 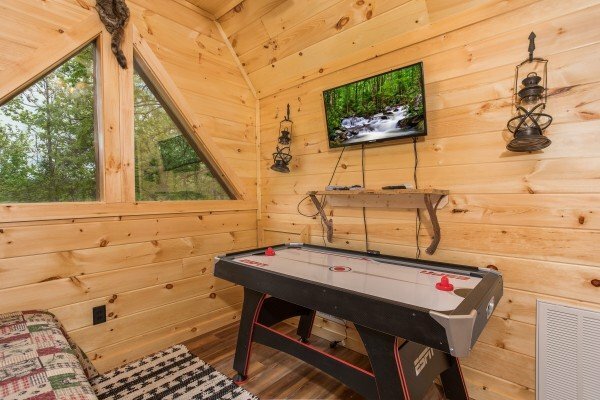 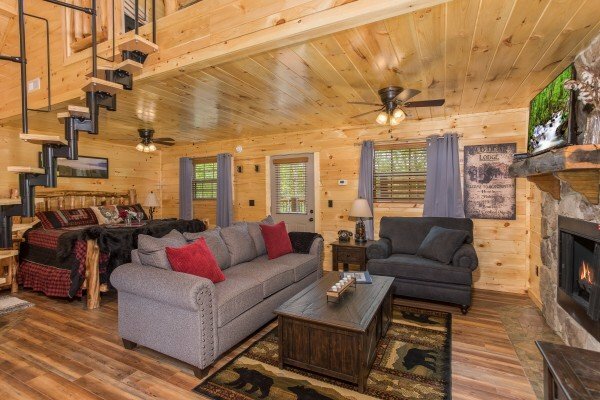 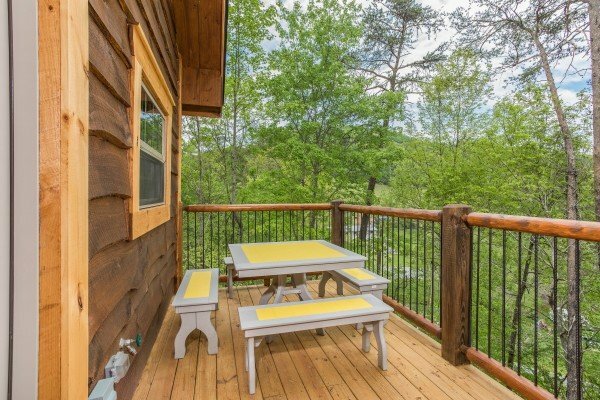 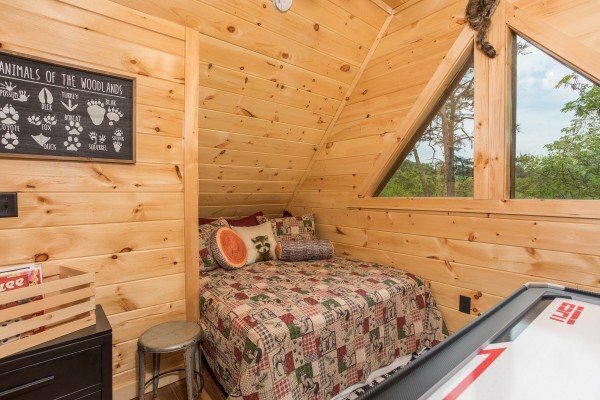 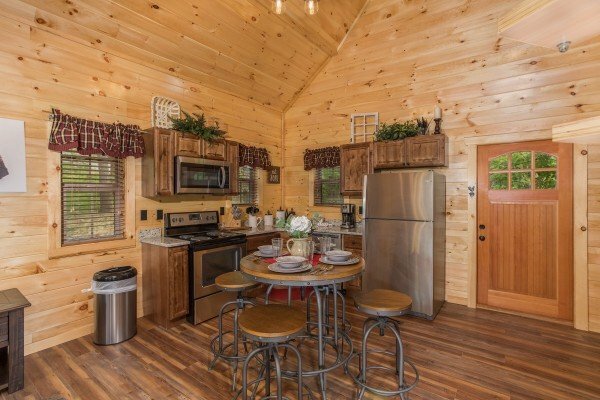 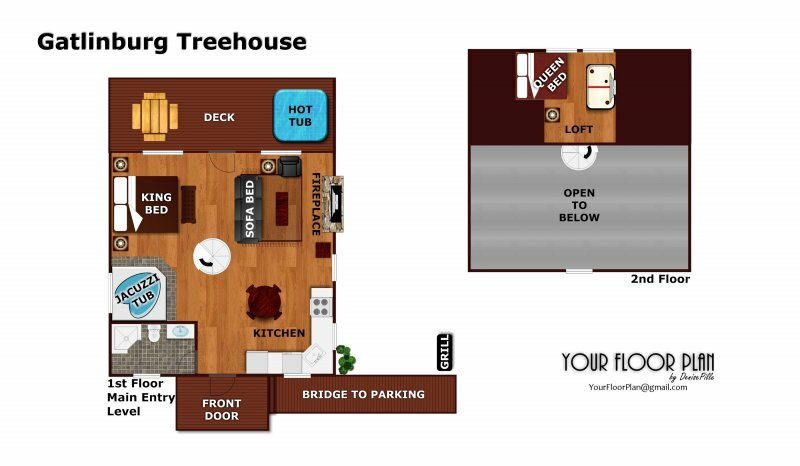 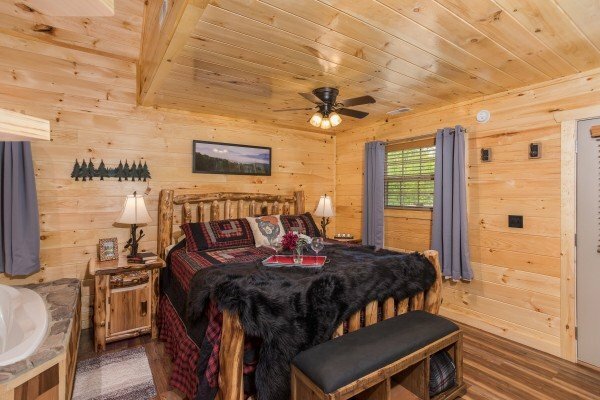 Reserve GATLINBURG TREEHOUSE today!